Home / Market Insight, Financial Articles / Is Netflix, Inc. Stock Heading to All-Time Highs on Earnings Beat? Is Netflix, Inc. Stock Heading to All-Time Highs on Earnings Beat? On Monday after the close, Netflix, Inc. (NASDAQ:NFLX) beat on earnings per share and revenue expectations. This, of course, sent Netflix stock higher in after-hours trading, climbing 5.2% to $323.70. Following Netflix earnings, shares are just a stone’s throw away from its former all-time high at $333.98. Will it surpass it today? How about later this week? Let’s look at the quarter first. Following two earnings misses and an in-line result, NFLX earnings were impressive after a bottom-line beat. Earnings came in at 64 cents per share, a penny ahead of estimates, while revenue soared 40.2% year-over-year. But the really impressive thing about NFLX earnings? Subscriber growth. Domestic additions came in at 1.96 million, ahead of the 1.48 million consensus estimates, a beat of 31%. International subscriber additions in the first quarter came in at 7.41 million, over 1 million more than the 6.32 million estimate, or 17% ahead of estimates. Sheesh. There’s no way to put it: Netflix growth can’t be stopped and that’s being reflected in the share price. Despite the increasing volatility in the market this year, Netflix stock still boasts big gains, up 70% this year and 128% over the past 12 months. That doesn’t include the after-hours move. Netflix ended the quarter with 123 million subscribers and expects that number to grow to 131.2 million by the end of the second quarter. The 6.2 million additional subscribers is ahead of consensus expectations calling for new sub additions of 5.24 million. However, investors should note that the last few subscriber outlooks from management have been on the conservative side. That’s why one could estimate that Netflix will add more than 6.2 million subs this quarter. After tip-toeing their content budget higher in previous quarters, management held steady, keeping it at $7.5 billion to $8 billion for 2018. Management still expects free-cash-flow burn between $3 billion to $4 billion for the year. Average selling prices are moving higher too, up 14% year-over-year vs. just 9% in the prior quarter. That comes from sales of its higher-margin offerings and the price hike for the basic offering in 2017. Netflix earnings and revenue beat estimates? Check, check. Beat on domestic and international subscriber growth? Check. (Bonus check for beating on guidance for both metrics too). Margins climbed in the quarter, as did average selling prices? Check and check. Free-cash flow and its content budget held steady? Check-mate. Considering that the streaming giant hit all of its important metrics, it’s hard to imagine shares trading lower. In fact, should the overall market hold up this week and FANG — Facebook Inc. (NASDAQ:FB), Amazon.com, Inc. (NASDAQ:AMZN), Netflix and Alphabet Inc (NASDAQ:GOOGL, NASDAQ:GOOG) — continue to move higher, it’s hard to imagine NFLX not making new highs. Last week I tweeted a chart of Netflix stock, saying that the stock is setting up for more gains despite the recent bearish movements. Where are we now? Okay, seriously last one: $NFLX — Along with $AMZN and $GOOGL $GOOG, (see previous tweets) — could get some mojo over the $310 level. This is a beautiful looking chart, to be honest. Investors can see Netflix stock gap up to $250 in January and then hold that level in early February. It was a textbook bullish move, while the S&P 500 was in the midst of its 10% correction in just 10 days. Just recently, we can see the downtrend resistance (in black) that Netflix stock broke out over on Friday and retested on Monday ahead its earnings report. Again, a textbook move. So long as the after-hours action holds up, NFLX will ricochet off this level again and its all-time highs will be in target. All else being equal, Netflix should hit it relatively soon. Bret Kenwell is the manager and author of Future Blue Chips and is on Twitter @BretKenwell. As of this writing, Bret Kenwell held a position in GOOGL. 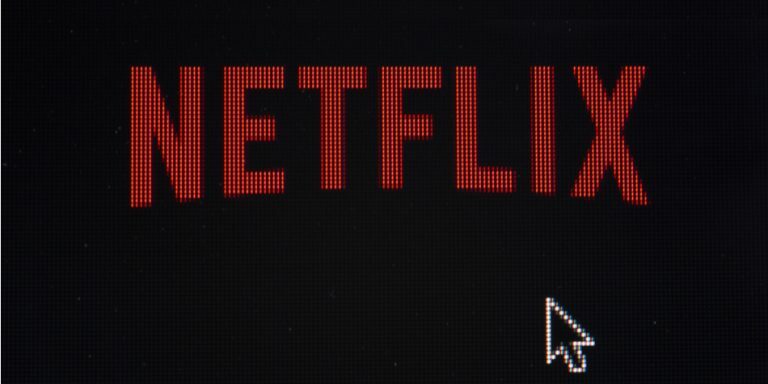 Article printed from InvestorPlace Media, https://investorplace.com/2018/04/new-highs-netflix-stock-earnings/.